Bu çalışmanın amacı, mikro besin maddelerinin (Fe, Zn, B ve Mn) humik asit altındaki kekiğin antioksidan aktivitesi üzerine olan özel etkilerini araştırmaktır. Araştırma, 2015-2016 yılları arasında İran-Batı Azerbaycan, Urumiye Üniversitesi Ziraat Fakültesi Tarla Bitkileri Bölümü Deney Alanları ve Laboratuvarında gerçekleştirildi. Deneme tesadüfi blok deseninde ve üç tekerrürlü olarak yürütülmüştür. Araştırmada, her parsele her sulamada 3 gr Fe/L, Mn 3 gr Mn/L, 4 gr B/L, ve 2 gr Zn /L ve hümik asit (hektar başına 300 kg) olarak uygulanmıştır. Besin elementleri uygulamaları 3 defa yapılmıştır. Kekik yapraklarında toplam fenolik içeriği, toplam flavonoid içeriği, DPPH radikal giderimi aktivitesi, nitrik oksit radikal giderim aktivitesi ve Zincir kırma aktivitesi gibi bazı antioksidan özellikler belirlenmiştir. İlk hasatın sonuçları, B ile ilgili en yüksek flavonoid (0.84 mg quercetin / g kuru ağırlık) ve nitrik oksit radikal giderme aktivitesinin (% 58.28) en yüksek olduğunu ortaya koymuştur. Mn, Kontrol ve Zn ile ilgili sırasıyla en yüksek toplam fenol içeriği (31.92 mg Gallik asit / g kuru ağırlık), DPPH radikal süpürme aktivitesi (% 92.5) ve zincir kırma aktivitesi (74.25-Abs-3 / dak / mg ekstrakt) belirlenmiştir. İkinci hasatın sonuçları, B + Humik asit ile ilgili en yüksek toplam fenol içeriğinin (40.05 mg Gallik asit / g kuru ağırlık), flavonoidin (0.65 mg kerceretin / g kuru ağırlık) ve DPPH radikal temizleme etkinliğinin (% 87.36) en yüksek olduğunu ve kontrolle ilgili en yüksek zincir kırma aktivitesi (37.43-Abs-3 / dak / mg ekstrakt) olduğunu göstermiştir. Sonuç olarak, B, bitkinin antioksidan aktivitesini artırmak için diğer uygulamalara kıyasla olumlu etkiye sahip olmuştur. The aim of the study was to investigate the special effects of micronutrients (Fe, Zn, B, and Mn) under humic acid using condition on Thyme antioxidant activity. The trial conducted at the Experimental Fields and laboratory of the Agronomy Department, Faculty of Agriculture, Urmia University, West Azerbaijan, Iran, during 2015-2016. Experiment was set in randomized complete block design and in three replications. In the trial the treatments were included 3 g Fe L-1, 3 g Mn L-1, 4 g B L-1 and 2 g Zn L-1 in each time and humic acid (300 kg per hectare) were given to all plots. Spraying of the elements was done at three times: Some antioxidant properties of thyme leaves such as total phenolic content, total flavonoid content, DPPH radical scavenging activity, nitric oxide radical scavenging activity and Chain-breaking activity were determined. The results of first harvest showed that the highest flavonoid (0.84 mg quercetin/ g dry weight) and nitric oxide radical scavenging activity (58.28 %) related to B. The highest total phenol content (31.92 mg Gallic acid/g dry weight), DPPH radical scavenging activity (92.5%) and chain-breaking activity (74.25-Abs-3 /min/mg extract) related to Mn, Control and Zn, respectively. The results of second harvest showed that the highest total phenol content (40.05 mg Gallic acid/g dry weight), flavonoid (0.65 mg quercetin/ g dry weight) and DPPH radical scavenging activity (87.36%) related to B + Humic acid, and the highest chain-breaking activity (37.43-Abs-3 /min/mg extract) related to control. In conclusion B has positive effect on increasing the activity of antioxidant of the plant than other treatments. Alesiani, D., Canini, A., D’abrosca, B., Dellagreca, M., Fiorentino, A., Mastellone, C., Monaco, P., Pacifico, S., 2010. Antioxidant and antiproliferative activities of phytochemicals from Quince (Cydonia vulgaris) peels. Food Chem, 118: 199-207. Atti-Santos, A.C., Pansera, M.R., Paroul N, Atti-Serafini L, Moyna P.2004. Seasonal variation of essential oil yield and composition of Thymus vulgaris L. (Lamiaceae) from South Brazil. J Essen Oil Res 16: 294-295. Bozin B., Mimica–Dukic, N., Simin, N., Anackov G. 2006. Characterization of the volatile composition of essential oils of some Lamiaceae species on the antimicrobial and antioxidant activities of the entire oils. J. Agric. Food Chem. 54:1822–1828. Brand-Williams, W., Cuvelier, M. E., Berset, C. 1995. Use of a free radical method to evaluate antioxidant activity. Lebensm.- Wiss. -Technol., 28, 5-30. Carlen C, Schaller M, Carron CA, Vouillamoz JF, Baroffio CA. 2010. The new Thymus vulgaris L. hybrid cultivar (Varico 3) compared to five established cultivars from Germany, France and Switzerland. Acta Hort 860:161-166. Culotta,V.C., Yang, M., Hall, M.D., 2005. Manganese transport and trafficking:lessons learned from Saccharomyces cerevisiae. Eukaryot. Cell 4, 1159–1165. Datta J.K, Kundu A, and Mondal N.K. 2011. Studies on the impact of micronutrient on germination, seedling growth and physiology of Bengal Gram under laboratory condition. Asian journal of crop science, 3(2): 55-67. Ebrahimzadeh M.A., Pourmmorad F., Hafezi S., 2008. Antioxidant activities of Iranian corn silk. Turkish journal of biology 32, pp. 43–49. Figueiredo A C, Barroso, J G ., Pedro, L G ., Scheffer J J C. 2008. Factors affecting secondary metabolite production in plants: volatile components and essential oils. Flav. Frag. J. 23:213–226. Ghandchi S., and Jamzad M. 2015. Total Flavonoids Contents and Anti Bacterial Activity of the Extracts of two Labiateae Species: Nepeta menthoides and Thymus trautvetteri. Journal of Medicinal Plants and By-products. 1: 77-82. Goodner KL, Mahattanatawee K, Plotto A, Sotomayor JA, Jordan MJ. 2006. Aroma profile of Thymus hymalis and Spanish T. vulgaris essential oil by GC-MS/GC-O. Indust Crops Prod 24: 264-268. Guillen, M.D., Manzanos, M.J.(1998). Study of the composition of the different parts of Spanish Thymus vulgaris L. plant. Food Chemistry, Vol. 63, pp. 373. Heidari F, Zehtab S, Javanshir A, and Dadpour, M. 2008. The effect of micronutrient and density on yield and essence production of Menthapiperita L. Iranian journal of medicinal and aromatic plants, 24(1): 1-9. Istrati D., Vizireanu C., Dima F., and Garnai M. 2013. Evaluation of polyphenols and flavonoids in marinades used to tenderize beef muscle. Journal of Agroalimentary Processes and Technologies. 19(1), 116-121. Jackson SAL, Hay RKM (1995).Characteristics of varieties of thyme (Thymus vulgaris L.) for use in the UK: oil content, composition and related characters. Ann. Hort. Sci., 69: 275–281. Javanmardi J, Stushnoff C, Locke E, Vivanco JM. 2003. Antioxidant activity and total phenolic content of Iranian Ocimum accessions. Food Chem 83:547-550. Jayasingne C., Gotoh N., Aoki T., Wada S. (2003). Phenolic Composition and Antioxidant activity of Sweet basil (Ocimum basilicum L.). Journal of Agricultural and Food chemistry, Vol. 51, pp. 4442–4449. Jukic M, and Milos M. 2005. Catalytic oxidation and antioxidant properties of thyme essential oils Croatica Chemi Acta 78: 105-110. Justesen, U. (2000). Negative atmospheric pressure chemical ionization low-energy collision activation mass spectrometry for the characterization of flavonoids in extracys of fresh herbs. Journal of Chromatography A, Vol. 902, pp. 369–379. Kizilgoz I, and Sakin E.2010. The effects of increased phosphorus application on shoot dry matter, shoot P and Zn concentrations in wheat (Triticum durum L.) and maize (Zea mays L.) grown in a calcareous soil. African journal of biotechnology, 9(36): 5893-5896. Kruma Z., Andjelkovic M., Verhe R., and Kreicbergs V. 2008. Phenolic compounds in basil, oregano and thyme. Foodbalt. 102 p.
Lee S J., Umano, K., Shibamoto, T., Lee, K G. 2004. Identification of volatile components in basil (Ocinum basilicum L.) and thyme leaves (Thymus vulgaris L.) and their antioxidant properties. Food Chem. 91:131–137. Letchamo W, Xu HL and Gosselin A. Variations in photosynthesis and essential oil in thyme, J. plant physiol. 1995; 147: 29-37. Metzger L 2010. Humic and fulvic acids: The black gold of agriculture? New AG International. 22-34. Misra A, Dwivedi S, Srivastava AK, Tewari DK, Khan A, Kumar R . 2006. Low iron stress nutrition for evaluation of Fe-efficient genotype physiology, photosynthesis, and essential monoterpene oil(s) yield of Ocimum sanctum. Photosyntetica, 44 (3): 474-477. Naga SK, Swain SK, Sandeep VV, Raju B. 2013. Effect of foliar application of micronutrients on growth parameters in tomato (Lycopersicon esculentum mill.). J. Agric. Food Sci. 1:146-151. Nandi, R.P., Chatterjee, S.K., 1991. Improved cultivation and distillation methods, followed by citronella plantations of Darjeeling hills. Indian Perfumer 35, 80–85. Nasiri, Y., Zehtab-Salmasi, S., Nasrullahzadeh, S., Najafi, S., Ghassemi-Golezani, K. 2010. Effects of foliar application of micronutrients (Fe and Zn) on flower yield and essential oil of chamomile (Matricaria chamomilla L.). Journal of Medicinal Plants Research. 4(17): 1733-1737. Nejad E. S, Haddian, J , Mirjalilli, M H, Sonboli, A, Yousefzadi M. 2008. Essential oil composition and antibacterial activity of Thymus caramanicus at different phenological stages. Food Chem. 110:927–931. Parul R., Kundu S.K., and Saha P. 2012. In Vitro Nitric Oxide Scavenging Activity Of Methanol Extracts Of Three Bangladeshi Medicinal Plants. JOURNAL of THE PHARMA INNOVATION. 1(12): 87. Rao M.M, Govindasamy R, and Chandrasekaran S. 1987. Effect of humic acid on Sorghum vulgare var. CSH-9. Curr. Sci., 56: 1273-1276. Rastghar M.A. 1998. general agriculture. Publications of Barahmand. Sabetsarvestani M.M., Sharafzadeh S., Alizadeh A., and Rezaeian A.A. 2013. Total Phenolic Content, Antioxidant Activity and Antifungal Property in Two Parts of Garden Thyme Shoot. 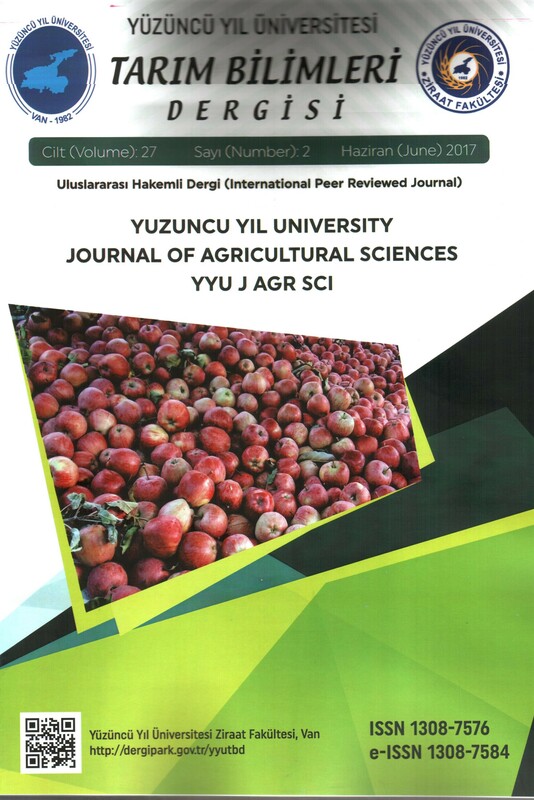 International Journal of Farming and Allied Sciences. 2 (22): 1017-1022. Scalbert A, Williamson G. 2000. Dietary intake and bioavailability of polyphenols. J Nutr, 130:2073-2085. Schonherr J, Fernandez V, and Schreiber L. 2005. Rates of cuticular penetration of chelated FeIII: role of humidity, concentration, adjuvants, temperature, and type of chelate. Journal of Agriculture and Food Chemistry, 53: 4484-4492. Tattini M, Bertoni, P, Landi A, and Traversim M.L. 1991. Effect of humic acids on growth and biomass partitioning of container-grown olive plants. Acta Hortic., 294: 75-80. Young IS, Woodside J. 2001. Antioxidants in health and disease. J Clin Pathol. 54: 176-186. Youngjae, L.R. Hai, F. Jacqueline, D.H. Nockc, B.W. 2007. Christopher, Postharvest. Biol. Technol. 45, 349–357.